scren, for both indoor and outdoor use. Our heavy duty aluminum truss are made of aluminum 6082-T6, main tube:50*3mm, brace tube:25*2mm, Have professional welding technology, have TUV certificate, can be compatible with global truss. design the best solution for your LED / Video screen. 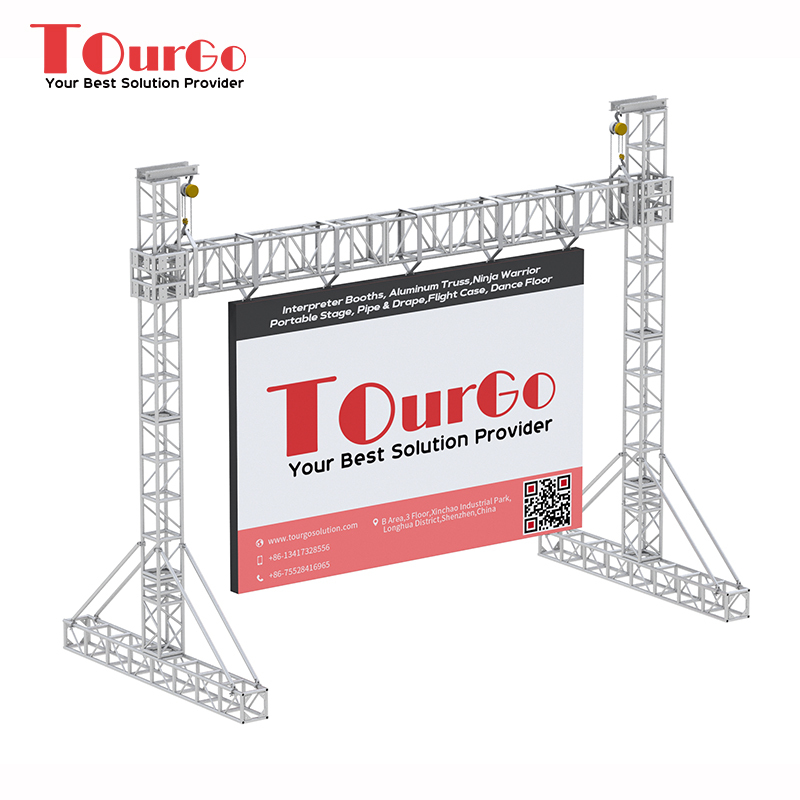 Tourgo LED Screen Truss provide you the most suitable solutions for hanging screens in an extremely efficient, cost-effective and safe manner!